Chad left a career in engineering to help lead the Teays Valley Campus of River Ridge Church in 2007. (But he’s still an engineer at heart!) 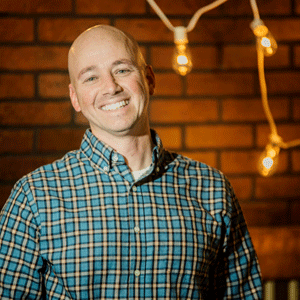 He is Campus Pastor at the Teays Valley Campus and serves as the Executive Pastor for River Ridge. Chad and his wife, Sarah, keep busy raising their kids, and in his free time (yeah, right! ), he enjoys playing the occasional round of golf and rooting on his beloved Mountaineers.